A C-section is performed when natural birth is not advisable. The major indications are prolonged labour, cord around the neck of the baby, a large head or abnormal position or distress of the baby. The baby is delivered through an abdominal incision. Recovery after a C-section can take longer and swollen feet is a common occurrence. Here are the reasons why it happens and how to deal with this condition. Many women experience swollen feet after C section and it is nothing to worry about. The body does not return to its pre-pregnancy state immediately after giving birth. It requires some time, so be patient. Many women who had minimal or no swelling of hands and feet during pregnancy also notice it after birth and especially after a C section. The body produces a lot of progesterone during pregnancy and progesterone leads to salt and water retention. As the uterus increases in size with advancing pregnancy, it puts a lot of pressure on the blood vessels supplying the lower part of the body. As a result a lot of fluid gets accumulated in legs and feet. This extra fluid does not get absorbed immediately and it takes some time for the swelling to disappear completely. Another reason for swollen feet after C section is administration of IV fluids. These are given during C section to maintain the body’s fluid and electrolyte balance. Many medications are also given mixed with IV fluids, even during normal delivery. This leads to some extra amount of fluid in the body and can be a reason for swelling. What Can You Do to Ease It? The best thing to do is nothing at all. Just keep calm and the swelling will eventually disappear. It may take a week to ten days for considerable reduction in this swelling. During this period the kidneys become extra active and remove the extra fluid through urine. Don’t be alarmed if you need to pee a lot. The fluid also leaves the body through perspiration. In very few cases, the swelling does not get better automatically and some medications have to be prescribed to remove extra fluid. That being said, there're some things you can do to speed up the recovery process. It is very important to have a healthy and balanced diet after child birth. 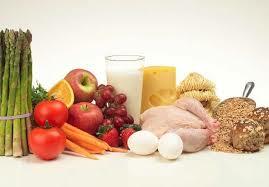 To ease the swelling, take a lot of proteins, complex carbohydrates and plenty of fruit and vegetables. The foods rich in potassium are also very helpful to remove excessive fluid. Avoid processed food because there is a lot of sodium in it which can lead to more fluid retention and can worsen the swelling. Try to keep your feet elevated. Do not sit for longer periods of time with your feet dangling and place a pillow under your legs while you sleep. Keeping your hands and feet above the heart level for at least half hour a day helps to reduce the swollen hands and feet. Taking care of the new born is not an easy job and it is a work out in itself. Being active improves the circulation and is very effective to get rid of swollen feet after C section. Do not over exhaust yourself and talk to your doctor before starting any strenuous exercise. Another great way to improve circulation and get rid of the excessive fluid buildup is to have a massage. Be very gentle and use some neutral oil like grape seed or olive oil. Massage in an upwards direction, starting from the feet. Massaging legs can also ease the aches and pains. Though the use of aromatherapy oils is not advised for a massage, they can be added to warm water and you can soak your feet in it for a relaxing and calming effect. This can reduce the pain and discomfort and also prevent the development of varicose veins as well as swollen feet after C section. Lavender, chamomile and cypress oil offer great results. The ancient Chinese technique of acupuncture is also very effective and can be tried to get rid of extra fluid. By use of reflexology and acupuncture the kidneys are stimulated to remove extra fluid and the circulation can be improved. These tried and tested techniques are also beneficial in re-balancing the body’s internal energies. Yes, you read it right. Drinking extra fluids can actually help to reduce the swelling after child birth. The extra liquids will stimulate your kidneys and more fluid will be removed. Be careful to avoid fizzy and sugary drinks and try to drink plain water or herbal teas.